Fully Certified Avigilon Integration Partner Carrying Their Entire Line of High-Resolution Cameras, Video Analytics, and Access Control Solutions. Avigilon™ dome cameras provide high image detail in a range of settings such as offices, hallways and building entrances. 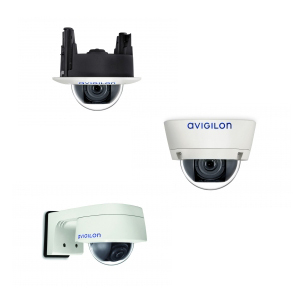 Embedded with self-learning video analytics and with resolutions from 1 MP to 4K Ultra HD, the H4 dome cameras are designed to integrate with Avigilon Control Center (ACC), and third party VMS software and to install quickly and easily with remote zoom and focus.